Dunsley Highlander 5 Log Store Multifuel Woodburning Stove integrates a log store into the design of the popular Highlander 5. With an output of up to 5kW, the Dunsley Highlander 10 woodburner is ideal for small to medium rooms, The log store built into the Dunsley Highlander 5 solid fuel stove makes it easier to reach all the controls and remove the ash, making it a favourite with the older and infirm. 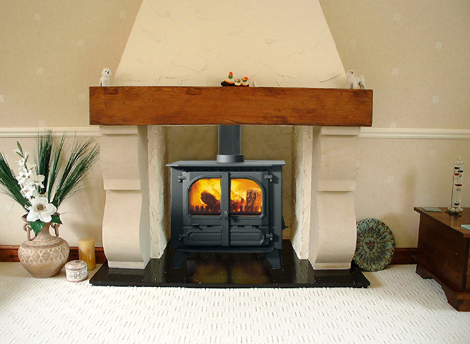 The raised position also makes the Dunsley Highlander 5 log store stove a popular choice for creating a focal point in homes, pubs and hotels. 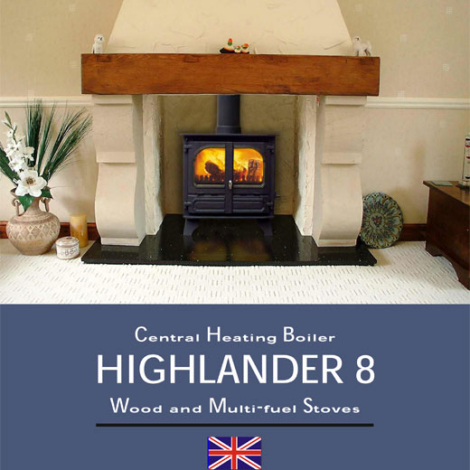 The Dunsley Highlander 5 solid fuel stove has the option of a boiler for hot water, which can be either purchased with the stove or retrofitted at a later date.